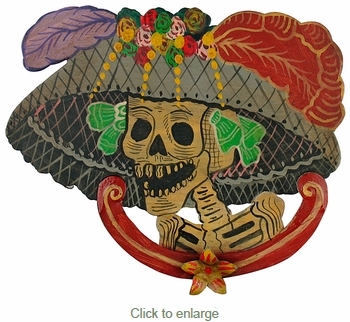 This small painted tin Catrina wall plaque is a perfect decoration for your Dia de los Muertos celebration or display. Our Day of the Dead art is all hand made and hand painted in Mexico. Expect variations in color and size on these unique wall decorations.